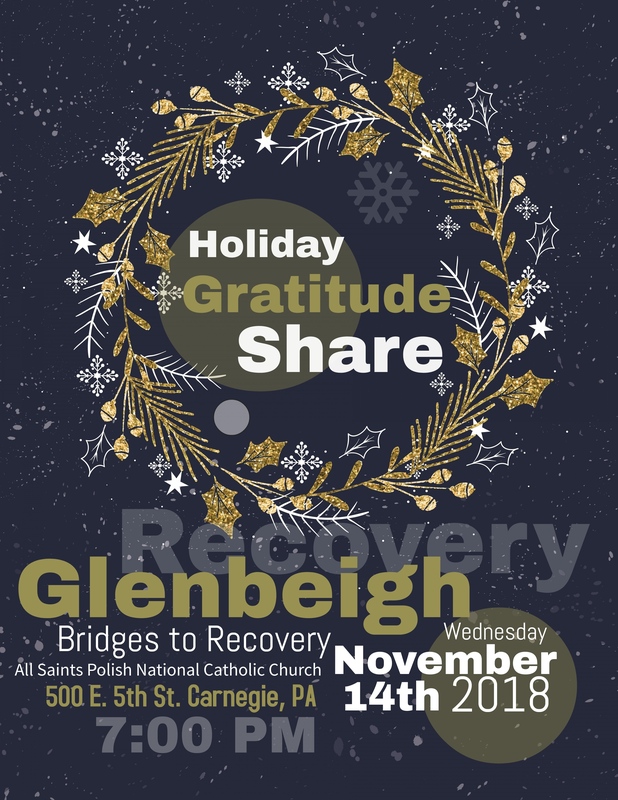 Anyone in recovery, or who loves someone in recovery, are welcome to attend Glenbeigh's Holiday Gratitude Share on Wednesday, November 14, 2018 at All Saints Polish National Catholic Church. Family and friends are welcome to attend this free event. This fellowship hour will focus on navigating the hollidays in recovery and how to stay grateful for all we've accomplished. 7:00 PM to 8:00 PM. Reservations are not required. Walk-ins are welcome. Refreshments will be served. For more information, please contact Pawley Bornstein, Alumni Coordinator, at 1-800-234-1001.